Tetanus commonly referred to as ‘lockjaw’ is a serious yet rare condition that is caused by bacteria which enters a wound. This condition is one that affects the body and causes painful muscle spasms or locking of the jaws. It can even lead to one's death if left untreated. To get the ideal treatment for this condition, tetanus vaccines are given that helps prevent the disease. 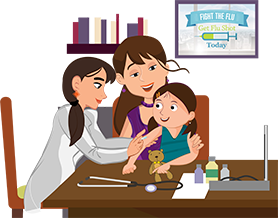 The vaccination is a combination of four vaccines that are used to help prevent diphtheria, tetanus, and pertussis, also known as whooping cough. At Apollo Clinic, we understand the uncertainty of illnesses and the importance of vaccines, particularly for adults. Therefore, we are committed to supporting you and making sure that you are given the best medical treatment for all your health concerns. Tetanus, commonly known as lockjaw is a serious disease that is caused by a bacterial toxin or poison called Clostridium tetani. This bacterium is usually found in the soil or dust and affects the nervous system once it enters the body. Tetanus usually enters the human body through cuts or wound or even a tiny scratch and caused extremely painful cramps or muscle spasms, sometimes even leading to death. Therefore, the tetanus vaccine for adults is the most effective way to prevent yourself from this disease. If left untreated, the tetanus symptoms can continue to get worse and can cause life-threatening problems such as suffocation or even a cardiac arrest. What is a Tetanus Vaccine and How Does It Help? Td is tetanus and diphtheria vaccine that is given to teens and adults as a booster shot every ten years, or after exposure to tetanus. The Tdap is like the Td but contains protection against pertussis or whooping cough and must be given as a one-time booster instead of Td. Preteens and teens from 11 to 18 years of age must receive a single dose of Tdap, preferably at the age of 11 to 12. Adults older than 19 years of age who have not received the Tdap as a preteen or teen must also receive a single dose of the Tdap. However, if you have a deep wound, especially caused by a knife or a fall, it’s best to seek medical advice immediately. Who Should Get the Tetanus Vaccine and When? Those who have not received a primary immunisation series during childhood. Those who have not received the Td or Tdap booster dose in the last ten years. Adults who have recovered from the tetanus disease. Adults who have not yet received the Tdap. All health care workers and persons who are in regular contact with infants younger than one year of age. Besides, the tetanus vaccine also protects you from painful muscle spasms that are caused by tetanus and keeps you from falling sick often. Therefore, the right treatment is important highly essential for all adults. A tetanus vaccine prevents you from tetanus. It is important to know that Tetanus is not transmitted from one person to another. Most adults do not experience any side effects. However, if they occur, they may include pain, swelling and redness in the arm where the shot was given, a headache, mild fever, tiredness, muscle pain, swollen glands, and nausea, vomiting or diarrhoea. In critical cases, it may even cause seizures or jerking of the muscles. We, at Apollo Clinic, understand the importance of your health and therefore, provide services for immunisations, one of which includes the tetanus vaccination for adults that will help protect you from tetanus. Offering immunisations for adults, we aim at ensuring that you are safe from diseases and live a healthy life.